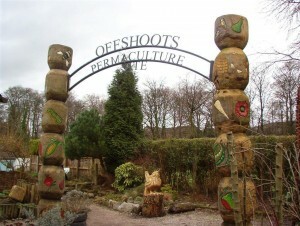 The club apiary is situated within the walled garden of The Off-shoots Permaculture Project which is situated in Towneley Park, Burnley. The apiary is set up and established as a teaching apiary for our members. .
We have indoor facilities to store our equipment and carry out indoor work such as frame and hive building. 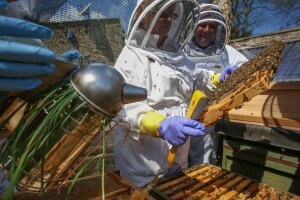 In addition to this we also have access to the conference room to use for training and meetings. 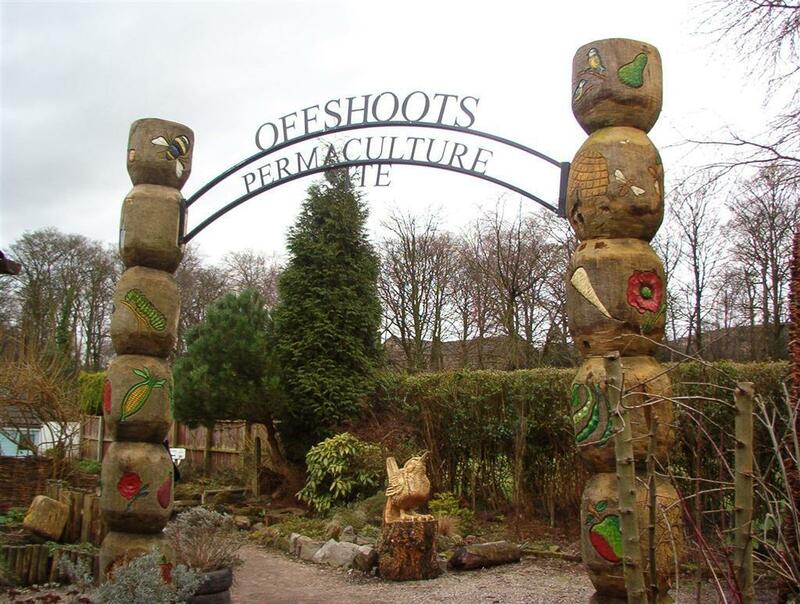 Fortnightly apiary sessions for members will take place at the Offshoots Apiary on Saturday’s at 11 am, unless otherwise stated. There is always something different going on with each colony and our apiary sessions give members a chance to get some “hands on” with the practical side of beekeeping. 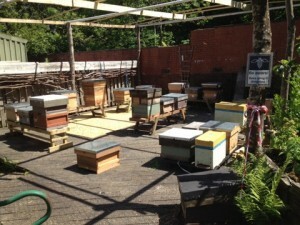 We talk through and demonstrate how we can deal with different situations that crop up and we always have jobs that need doing to keep the apiary running. So you bring the enthusiasm and we will provide the tea and biscuits .